Trust the preset depth indicator – it is correct. Reduce the central fossa first and then the cusps, so that you do not lose your point of reference and over-reduce the central fossa area. Use plenty of water to prevent overheating the tooth. Great for occlusal rests for partials. 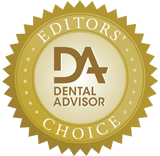 Use the top end of the diamond perpendicular to the occlusal surface to the depth of the diamond. The non-cutting flange will stop you from cutting too deep. Make a few initial depth cuts and then use the sides of the diamond to complete the entire occlusal reduction. It is a quick and efficient without ever really having to dramatically change the angle of the handpiece. Measure the bur depth on your X-ray to make sure the pulp horns will not be impacted. 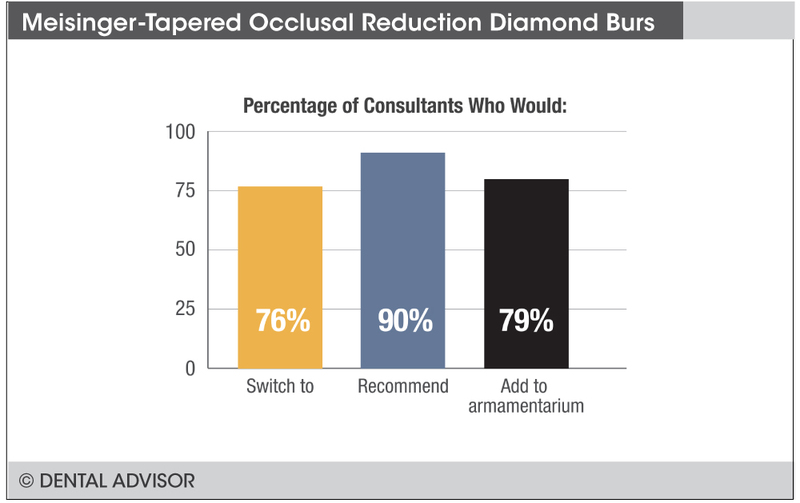 Tapered Occlusal Reduction Diamond Burs were evaluated by 29 consultants, with an average of 19 uses per consultant. Excellent burs in a container that is very easy to use, store, and sterilize. Provide accurate and precise measurements and cutting depth. A short shank version would be helpful. Versatile – can be used for crowns, inlays, onlays and porcelain veneers. 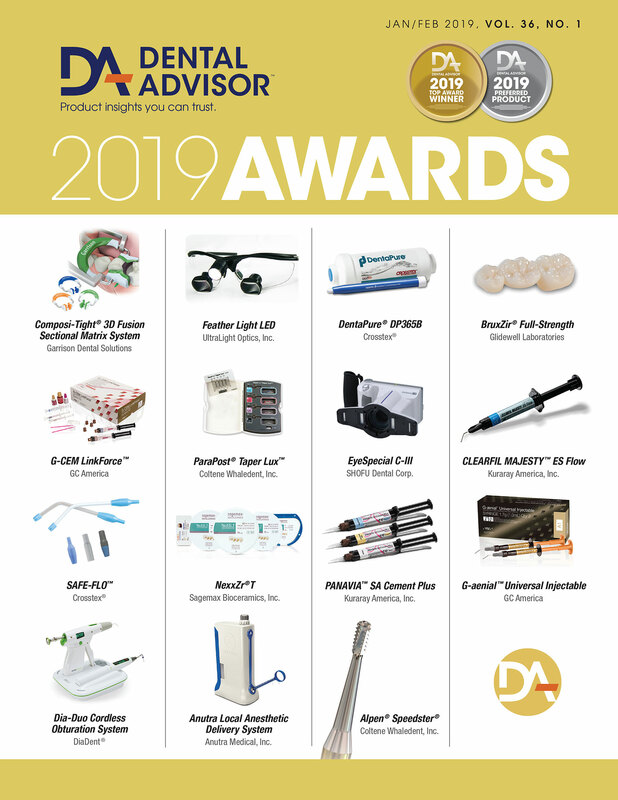 Clinical procedures requiring occlusal, incisal and axial reductions for preparations. 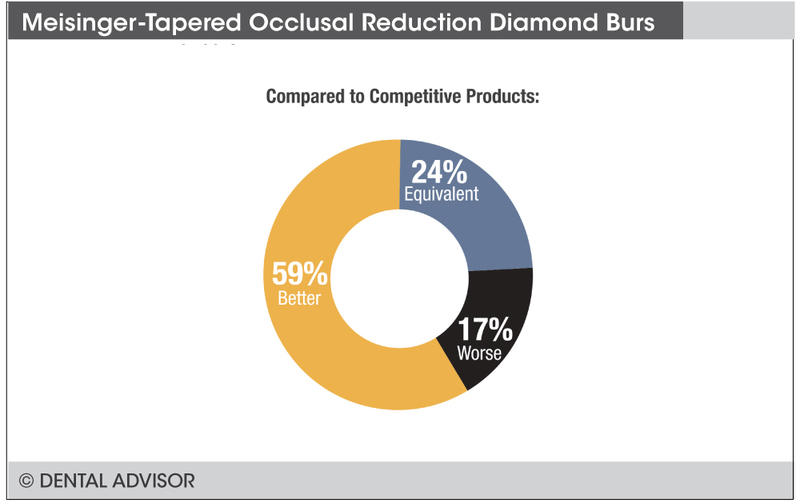 Tapered Occlusal Reduction Diamond Burs offer precise occlusal reduction, with an angled non-cutting stop that limits the bur to the designated depth. Suitable for preparations for a variety of indirect restorative materials. 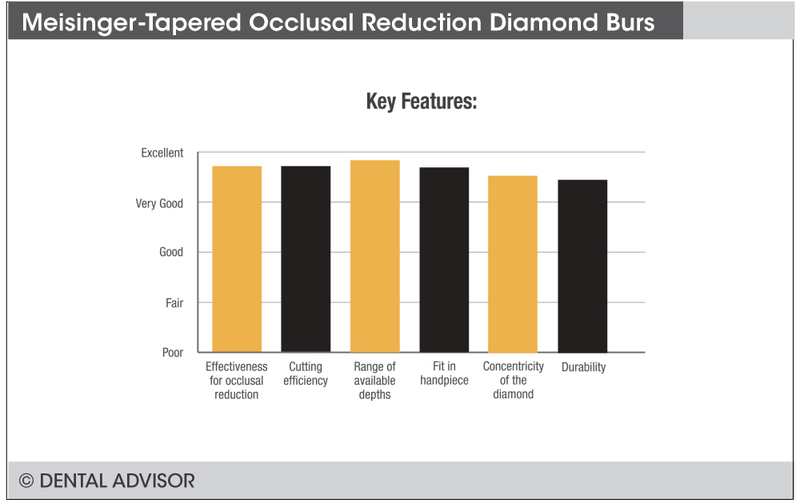 Tapered Occlusal Reduction Diamond Burs offer precise reductions for preparations. The burs are color-coded, available in all grits, and have 8° tapers. 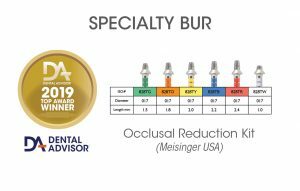 Each packaged set of Tapered Occlusal Reduction Diamond Burs contains one bur each for the following reduction depths: 1 mm (color-coded white, for axial reduction of monolithic restorative material or maxillary anterior lingual reduction), 1.5 mm (color-coded green, for occlusal reduction for full-coverage gold and zirconia restorations, and for axial reduction for layered porcelain or incise reduction for monolithic porcelain), 1.8 mm (color-coded orange, for incisal reduction for layer porcelain restorations), 2 mm (color-coded yellow, for reductions for e.max, Lava and porcelain-fused-to-metal restorations, and for incisal reductions for layered porcelain or an inlay), 2.2 mm (color-coded blue, for inlays) and 2.4 mm (color-coded red, indicated for a supra-erupted tooth).